Focused exclusively on strategy, market and feasibility analysis for entertainment and cultural development projects, Vision XS works with the industry’s leading investors, institutions, developers, designers, licensors, and operators. Vision’s capabilities and services support core business planning across multiple stages of a project’s development, from concept definition and global benchmarking to market prioritization and site-specific feasibility. 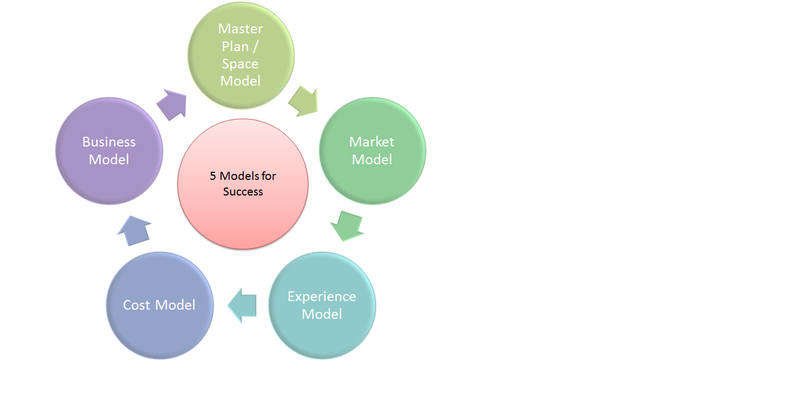 The Experience Models are used to enable you to determine if you should take your project idea forward. • Enough space to entertain/engage/occupy everyone on site? • How much can be charged? • Can the site/project occupy enough people to make the business model work? • How much to invest? • Amount of experience components and restaurants, retail, toilets etc required? • What is the quality/value of the experience ? • How many visitors will come, benchmarked against other attractions (market penetration)?